What’s better than a great massage at Happy Head? How about a free massage at Happy Head! We are pleased to announce that we have partnered with FiveStars to bring our customers a loyalty rewards program that is easy, reliable, and most important beneficial to our customers. We’ve been looking for a while a way to offer a rewards program that is simple to use and convenient. While we’ve tried different programs in the past, they have always fell short of our needs one way or another. We wanted the loyalty program to be easy to implement and easier still for our customers to redeem their rewards. 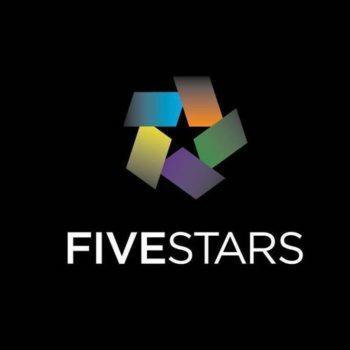 Here’s how the FiveStars program works and it couldn’t be simpler. At every Happy Head location there is tablet computer stationed at the front desk. All that is required is your mobile phone number to get things started. Enter your phone number into the tablet and you’re on your way to earn discounts and free massages in no time. You’ll earn one point for every dollar spent. Looking to earn more rewards and bigger discounts? Here’s where it gets really good. A bit after you’ve made your purchase, FiveStars will reach out to collect some more information from you, like your name, birthday, and email address. With this information, you’ll get exclusive special offers that will only be offered to loyalty rewards program participants. Do you still have points accumulated from your old loyalty rewards program? When you come to Happy Head just let the front desk know that you still have points from the old program. They will transfer your old points to the new program so you don’t miss any rewards. That’s it. It’s easy, fast, and convenient. Buy a massage, earn points, and get rewarded.